Posted on Tuesday, July 1st, 2014 at 12:52 pm. Knowing your destination is important to determine how you must plan your journey. If you are looking to build self-confidence, consider joining Assertiveness and Self Confidence Training Course from pdtraining in Manhattan and many other cities in the U.S. Many times, our circumstances distract us from what we really want from life. Tasks that need to be completed urgently often take our priority. That is very well, but in the long run, what will matter is how satisfied you are with what you have achieved. To prioritize and manage your time, you need to ask yourself: what is it that will make me feel satisfied after ten years? Is it your family, fame, money, excellence in your career, charity, or knowledge? Identifying the larger goal in life will help you to manage your time and effort better in the present. Setting goals and reviewing them from time to time is important to channel your energy and time. You need to list both short-term and long-term goals and divide your time accordingly. Also, it is important that you differentiate between tasks that are urgent and those that are important. Let us divide goals in categories so that you can understand their significance. You can first list all your goals and then categorize them into important and urgent. 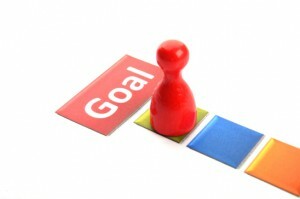 Goals that are important to you are those that you have been wanting to accomplish for many years. In other words, they are not a whim or a fancy, but something important to you that you have been wanting or trying to fulfill for a long time. It can be writing a masterpiece, becoming the CEO of a company, travelling through the world, owning a top website, etc. It must be something that you have been wanting to do for a long time. If something stands the test of time, you can be sure that it is worth pursuing. An urgent task is one that needs to be completed as soon as possible. It can be a mundane task such as fixing broken equipment, paying bills, buying vegetables, or it can be a task that is important and needs to be completed urgently such as participating in a crucial meeting, completing an urgent project, getting medical treatment. These tasks must be attended to, but you must not loose sight of the important goals because those are the ones that will eventually give you lasting satisfaction. After you have categorized your goals into important and urgent, you need to divide your time accordingly. You may keep an hour or two in the morning for important tasks (remember these tasks may take you months and years to complete, but you need to work on them daily) and then move to urgent tasks. If an urgent task needs to be completed the soonest, then you must prioritize it over important tasks. In whichever way you divide your time, make sure that you have a fixed number of hours for the important tasks because they are always in danger of being left behind. If you keep following your timetable, you will find that you are fulfilling both your urgent and your important tasks. Over time, you will feel satisfied with your achievements and how you handled your time.